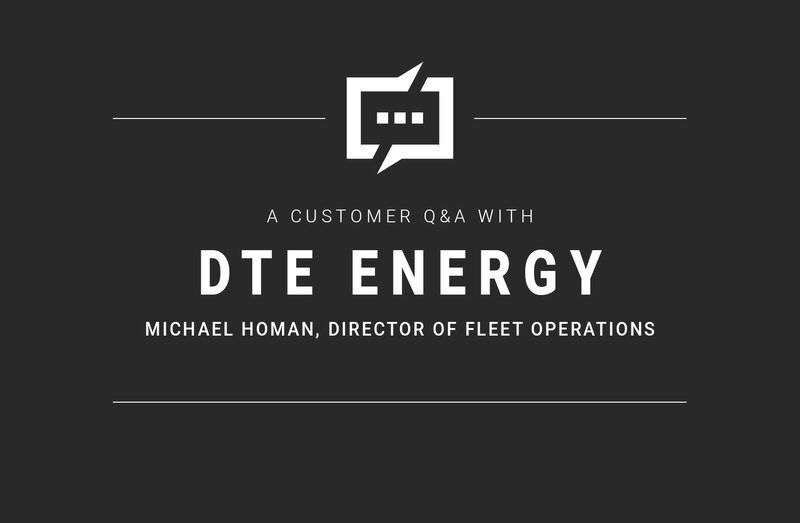 Our team sat down with Michael Homan, Director of Fleet Operations at DTE Energy, to discuss what it’s been like working with Mercury Associates on a number of fleet management improvement projects. Background: DTE Energy, the seventh-largest investor-owned utility company in the United States, operates a fleet of approximately 5,800 vehicles and pieces of equipment. DTE engaged Mercury Associates to perform a number of fleet management improvement projects, including: development of fleet operations policies and procedures, drafting and negotiating a third-party service level agreement, providing strategic fleet management planning assistance, developing and conducting fleet mgmt. training to fleet maintenance supervisors and managers, conducting a fleet utilization and rightsizing study, assisting in the preparation of an RFP for fleet management acquisition and leasing services, the evaluation of bidder responses; and the negotiation of a contract with the successful bidder. What problems, issues, or needs led DTE Energy to engage Mercury Associates? 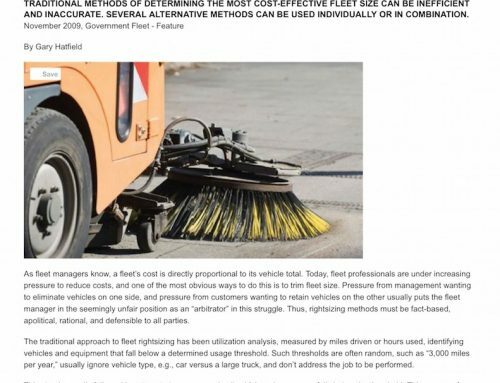 I first met Mercury Associates’ Steve Saltzgiver at the NTEA Work Truck Show in Indianapolis in March 2017 where he presented “Fleet Management 101”. I’ve worked for DTE Energy for 13 years in finance and operations, but this is my first assignment in fleet management so Steve’s presentation was a great introduction to fleet operations. 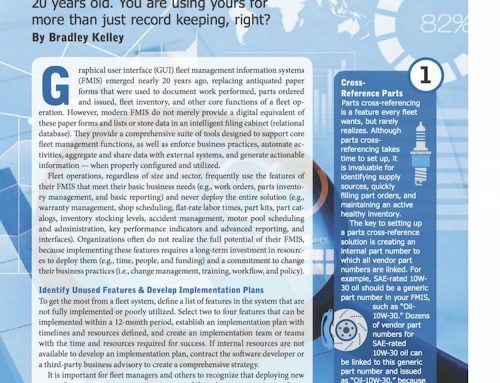 It included a sound set of metrics and the fundamentals of what a good fleet operation looks like, and how to achieve balance between financial and operational goals. What Steve presented at the conference was a great way for all of us to get on the same page so I invited Mercury in to present these fleet fundamentals to our leadership team. Steve and Janis Christensen came in and their presentation resonated with our folks. In the spring of 2017 we began working with them on a project to evaluate our fleet and eliminate excess vehicles. What made DTE choose Mercury? What made their services stand out from others? One of the most valuable things about Mercury is that the organization is filled with fleet professionals — not MBA graduates with business cases. Each Mercury consultant has meaningful stories to share about their own experiences. Can you share specifically how Mercury helped DTE reach its goals? One of the most fundamental ways to make your fleet more affordable is to make sure you have the right number of assets, so Mercury began by comparing our fleet statistics to established benchmarks for utilities similar to ours. This benchmarking showed that a high percentage of our fleet was lightly used. As a utility, it’s our job to make sure we have capacity to handle emergency situations but our numbers were out of sync with our peers. Forty percent of our vehicles were driven less than 50 miles a week. Mercury is working with us on a vehicle-downsizing project that began in early 2018 and is now in the final stages. Our organization has never gone through this kind of vehicle downsizing before so Mercury’s support has been critical to our success. Our goal is to reduce our fleet size by 350 vehicles by year’s end. Steve and Janis participate in weekly meetings in which we adjust the plan as needed and agree on next steps. They help us keep our plan on track and provide us with a simple and understandable framework to move forward. each year. Mercury helped us create the RFP and identify candidates. When the bids come in they will help us evaluate and objectively score those submissions. What have been the greatest benefits of working with Mercury? The Mercury team helped us take a fresh look at our fleet operations. 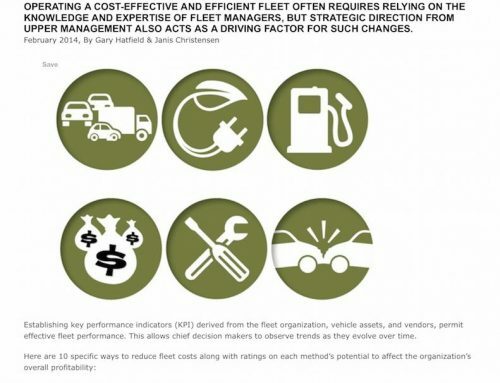 The principles in Mercury’s “Fleet Management 101” gave me a business context that I could apply to all our internal processes to create a major cost improvement project. 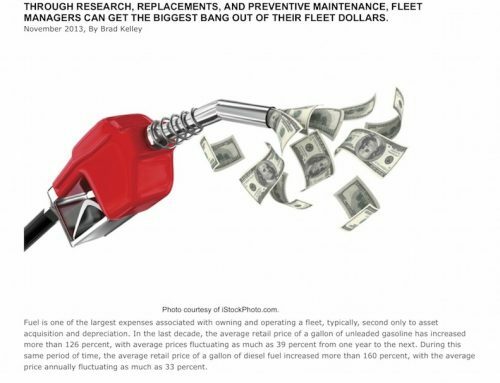 I was able to go to my C-suite with a well-supported plan that would reduce the size of our fleet and save our company $20 million in fuel, maintenance and other ownership costs. Those are savings that can help us attain our customer affordability and earnings goals. How is Mercury to work with? Are there any specific team members who stand out as being particularly helpful? The Mercury team has been great with work with. They are very flexible and customer-focused, even when we throw them curveballs. Steve is extremely insightful and has been on-site, making the evolution of our fleet simple and very real for our internal fleet managers. And Janis keeps everything coordinated and the project moving along. With 30 years of fleet experience, she knows her job and can see what the next step is going to be. She works very well with us. Can you cite an example of how Mercury went “the extra mile” to serve DTE? The Mercury team was extremely understanding when we needed to reassign a project manager mid-way through our vehicle reduction project. They were very patient and took the time needed to bring the new project manager up to speed. They made sure the project did not slide to the right during the transition. What has the implementation phase and ongoing relationship been like with Mercury? Mercury works with us side by side and is very hands-on in executing practical projects that are reducing our fleet costs and helping us pick a long-term fleet management partner. It’s rare is to have someone on the fleet side of business that can actually put on a business hat. 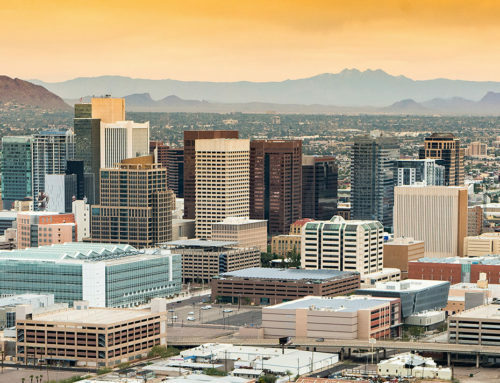 Once you look at the big picture, the value of our fleet reduction project goes from small place in the budget to one that can bring $20 million in savings to customers and shareholders. That earns us a place at the big table. Mercury’s expertise has helped us see the savings that can be realized when we bring more professional management to our fleet cost center. How has working with Mercury made your job and/or work life easier? I often refer to Mercury as my “uncle in fleet” because they deliver such great data, advice and insights. It was a way for me to very quickly come up to speed on what are the components of fleet that fit into a normal business model. Like what are the most critical metrics and how do we keep them in balance? The answers are not mysterious; Mercury makes it simple so we can see the impact on cash flow and strike the proper balance between quality, customer service and cost. Would you recommend Mercury to others? What positive benefits would you emphasize? Yes, I often recommend Mercury when I’m at fleet conferences. Every time I mention Mercury’s name, people already know of them. It’s amazing how many organizations they have helped.